​A non-fermented Goan breakfast bread called Koyloyo or Kailollyo, which is hearty, nutritious, tasty and definitely filling. Simple and easy to prepare. Red parboiled rice is soaked overnight and ground fine with salt. Grated coconut is added to the batter along with sugar, which is optional then cooked on a griddle or tovo that is lightly greased and covered with a lid. The griddle cake is flipped and cooked on both sides. 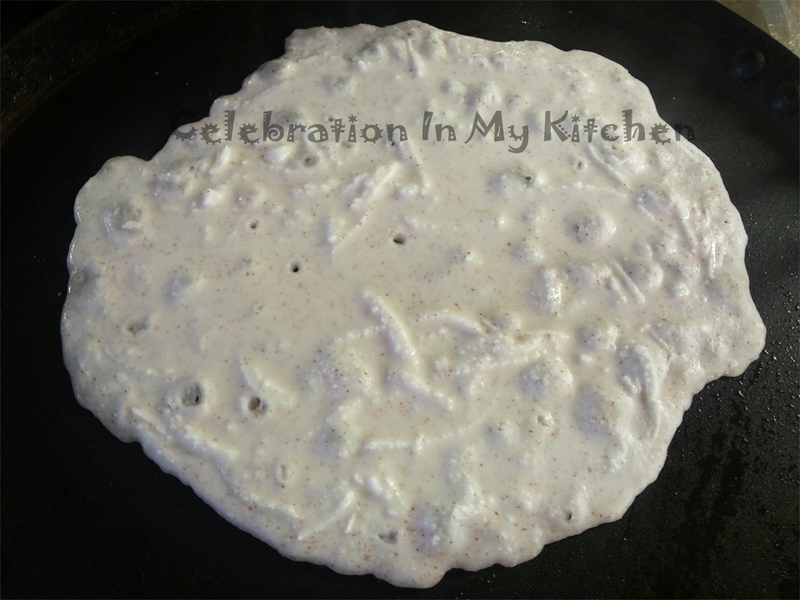 Other variations are either grinding the rice with toddy or coconut milk and even including an egg in the batter. I prefer the way my mother prepared them plain with soaked rice (as indicated above) with the addition of grated coconut and salt. The consistency of the batter is thicker than polles. Using a well greased non-stick pan heated at the right temperature ensures that the griddle cakes do not stick or burn. Once cooked, they have an interesting pattern on one side with visible shredded coconut and a smooth surface on the other side. They cook in minutes and can be served plain or with a syrup prepared with coconut milk, jaggery and cardamom powder. Wash and soak rice overnight. Grind fine with 1 1/2 cups water and salt. To the ground rice, add the shredded coconut and 3/4 cup water (after passing it through the blender jar used in grinding). Mix well. On medium flame, heat a griddle or non-stick tawa. Lightly grease with oil using a silicone brush. Using 1/2 cup measure, pour batter onto the hot griddle. 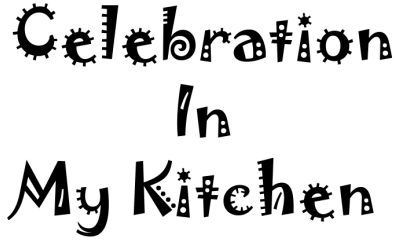 Cover with a lid and cook for two minutes until bubbles appear on the surface of the cake. Flip with a spatula (kailato) and cook uncovered for one or two minutes. 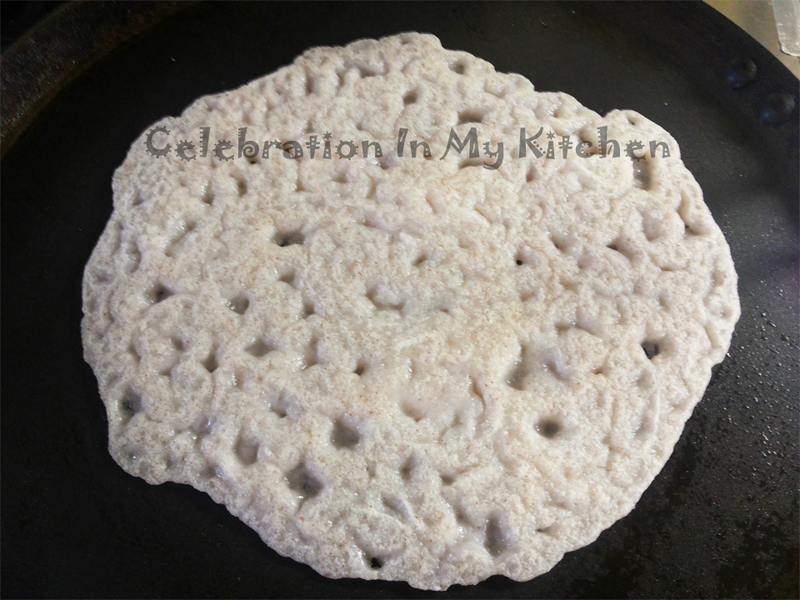 Serve hot plain or with coconut jaggery syrup. No toddy, yeast or baking soda is used in the batter. 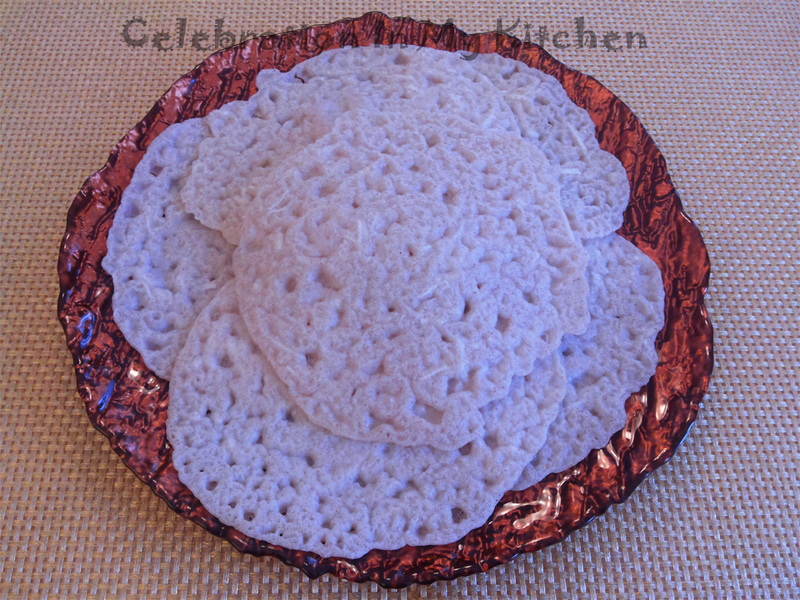 After grinding the batter, it is not fermented and the griddle cakes are prepared right away. When the batter is ground with toddy, it is fermented for 4 hours to rise. 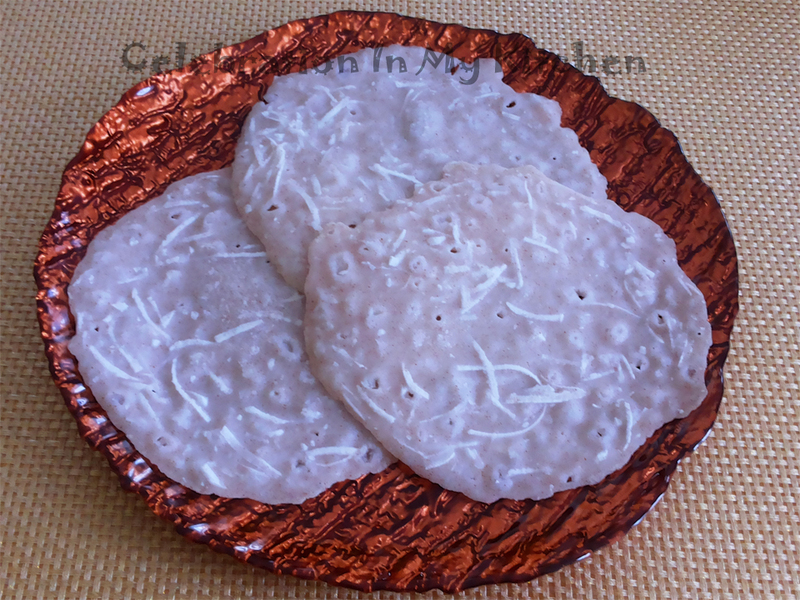 We enjoy koyloyo plain for breakfast without the coconut jaggery syrup.